TEHRAN, Young Journalists Club (YJC) - China claims it is doing all it can to rein in its neighbour and traditional ally North Korea. It has backed the toughest United Nations sanctions, but on the North Korea-China border it is a different story. China is propping up North Korea and its military with a continuous supply of oil, and using cheap North Korean workers in its factories. 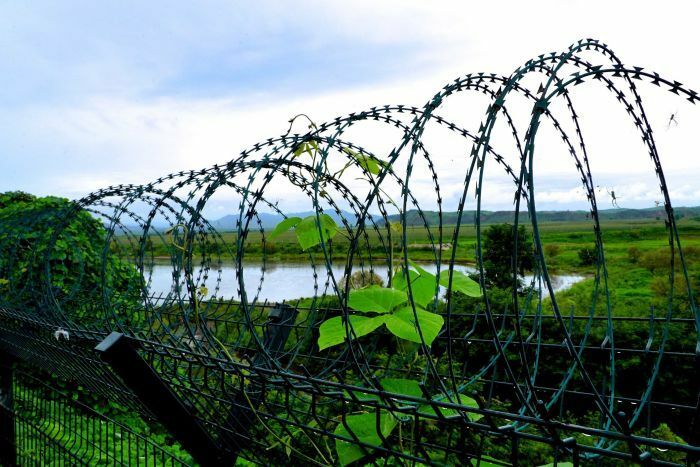 China is moving to fortify its 1,400-kilometre border with North Korea. 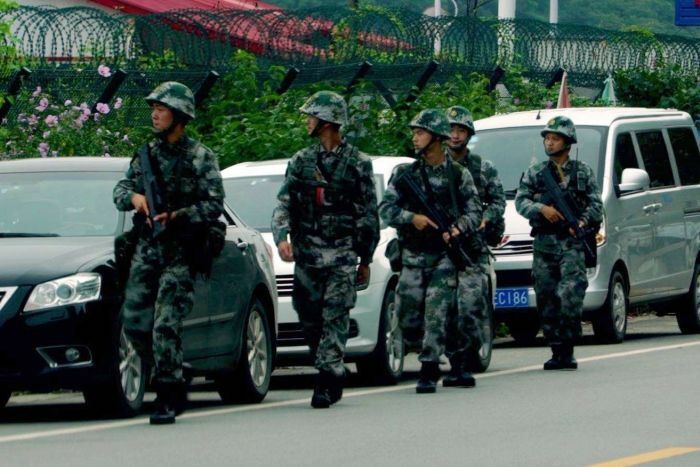 The People's Liberation Army has set up a new border brigade and has conducted live fire drills in recent months. China is preparing for all options in the event of conflict breaking out, and military strategists say it will most likely go inside North Korea to establish buffer zones if America attempts regime change. Zhao Tong from the Carnegie Tsinghua Centre for Global Policy in Beijing said China would not tolerate US troops on its border and wanted to ensure it had a stake in any new order. "If China believes [it is] very much necessary to send troops inside to best serve its interests, I don't see why China wouldn't do so," he said. From the border, North Korea does not look like it is primed for confrontation — in fact, it looks like a nation in decay. Children dressed in tattered clothes occasionally can be spotted and decades old small military boats lie almost abandoned on its side of the Yalu River. The booming Chinese border city of Dandong is a stark contrast. It is where most of North Korea's trade passes though. China supplies about 90 per cent of North Korean trade, but since the toughest UN sanctions passed two weeks ago the trucks that ferry goods across to North Korea on the Friendship Bridge have slowed to a trickle. China has banned all coal, iron ore and seafood coming from North Korea, costing the regime more than a billion dollars a year. 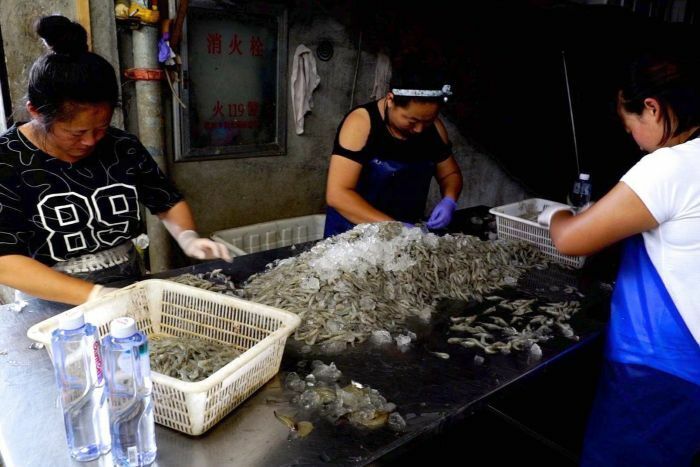 The port of Dandong is at a virtual standstill and the Dandong Donggang Seafood Market — usually a hive of activity — has closed. One of the fishmongers said: "Since the ban we don't have any fresh fish and all businesses have closed." But China is not prepared to go all the way to stop North Korea's nuclear and missile program. 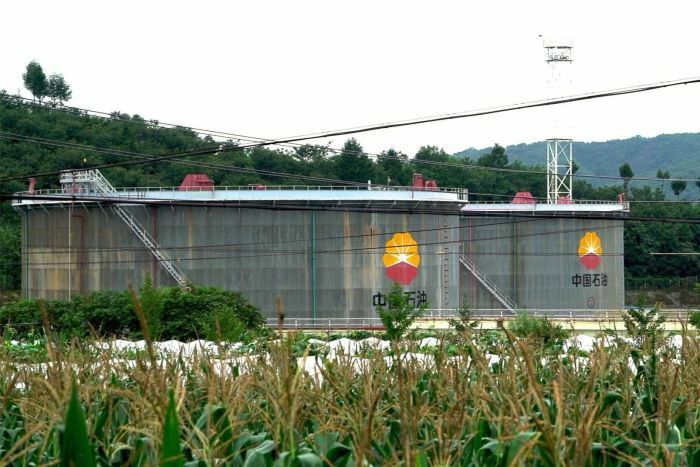 China is North Korea's sole supplier of oil and a couple of kilometres from the border sits an oil facility with six large storage tanks. Oil is pumped across the border continuously from the centre into North Korea — they do not want the world to see it, so the site is under military protection. But it keeps North Korea's military going and the North Korean economy alive. It is the best leverage China has over North Korea, but the country refuses to use it. Dr Zhao said China would not because it feared collapse of the regime. "What could follow is very uncertain and it will be a very risky process involving many variable factors," he said. "We don't know how it would play out and impact on Chinese security, and on top of that there is a deep mistrust between Washington and Beijing so China won't take this radical move. 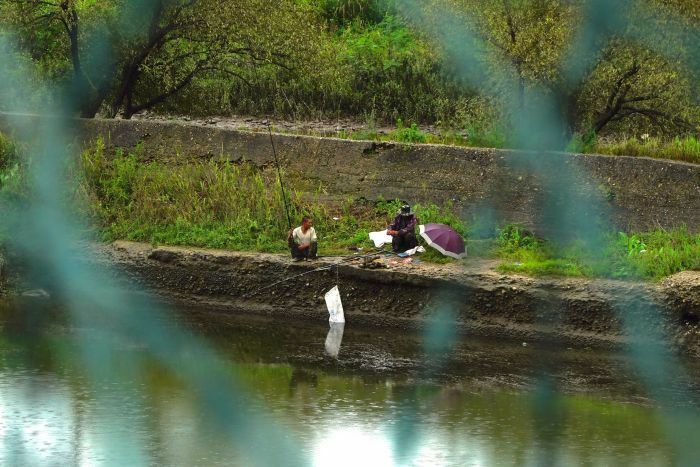 Dandong does not look like a frontier town living under the threat of war. Each day residents enjoy the summer sun and swim casually in the Yalu river right up to the North Korea side. Like most others, Zhang Wenyi said he believed the chances of war were remote. "The US and North Korea are just like friends that shout at each other but they'll never go to war," he said. "We all want peace. They should just sit down and have a good talk and solve their problems. "North Korea should be more open and not have the dictator." Dandong is the place where China and North Korea's history is glorified. China sacrificed more than 250,000 soldiers to safeguard the creation of North Korea in the early 1950s but most here, like teacher Cong Yang, said it was time for North Korea to change. "I think our country is very tolerant and open — we have learned from the world," he said. "I think North Korea can also learn from this." But ties run deep and one Korean businessman based in Dandong said despite tougher sanctions the trade would continue. The businessman, who did not want to be identified, said: "Trade by big companies has dropped but the smaller companies now have more trade. They do it in secret." He said Chinese businesses, with government help, brought North Koreans into China to work on farms and in textile factories. "It's cheaper labour and they can work 15 hours a day for half the price," he said. "They can work any time because they live in the factories." 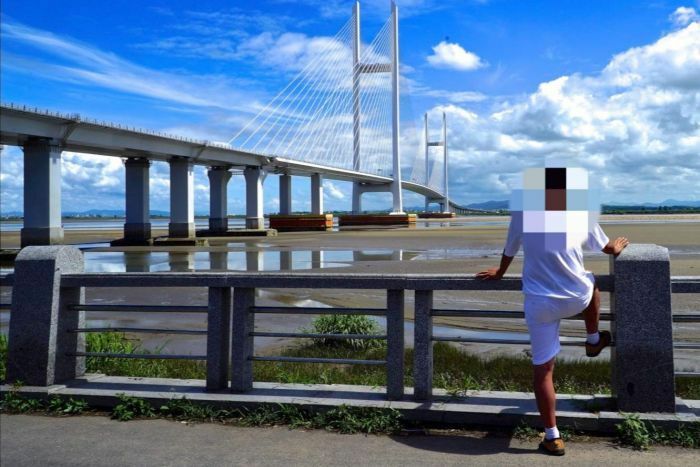 he businessman showed the ABC one textile factory in the hills behind Dandong where the 500 North Koreans who work there are not allowed to leave. They make garments for markets in Europe and America but are lucky if they can earn $5 a day. Kim Jong-un's regime makes at least $500 million a year from its workers overseas, which the UN has called slave labour. The latest sanctions tried to limit this exploitation. The businessman said the North Korean workers had to take propaganda classes and give most their wage to the regime. "The workers have to pay 80 per cent to the North Korean Government, and keep 20 per cent for themselves," he said. Dr Zhao said: "There is speculation that [the] North Korean Government will use this revenue to fund its military programs, so that's why many countries want it banned." On the border, China has spent millions of dollars on new bridges and free trade zones in the hope of a bigger and deeper partnership with North Korea. But for now they lie dormant, a testament to the rogue regime's increasing isolation.